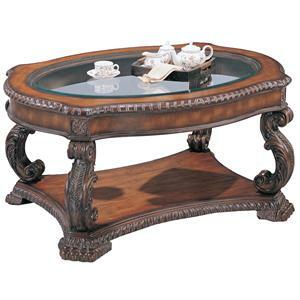 Ornate detailing and a stunning, dark wood finish give this coffee table its classic traditional styling. This generously scaled piece features a top with thick profiled edges, and an ash swirl veneer border. 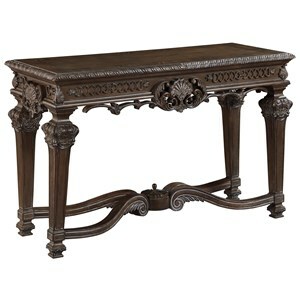 The Charmond Traditional Square Cocktail Table by Signature Design by Ashley at Value City Furniture in the New Jersey, NJ, Staten Island, Hoboken area. Product availability may vary. Contact us for the most current availability on this product. 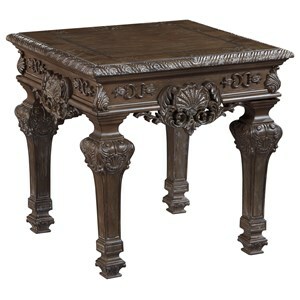 The Charmond collection is a great option if you are looking for Traditional furniture in the New Jersey, NJ, Staten Island, Hoboken area. 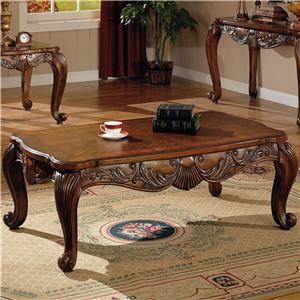 Browse other items in the Charmond collection from Value City Furniture in the New Jersey, NJ, Staten Island, Hoboken area.